Imagine this, you serve in ping pong with a lot of backspin. So much backspin, that the ball (when served) bounces once on your side then once on your opponents side, but hits the net on it's way back towards you as the server. Is this still a "let" considering the ball touched the net on the serve or is it fair play? I believe it would NOT be a let. That is, it would be a legal service and the server would earn the point (assuming the receiver did not return it). 2.06.03 As the ball is falling the server shall strike it so that it touches first his or her court and then, after passing over or around the net assembly, touches directly the receiver's court; in doubles, the ball shall touch successively the right half court of server and receiver. 2.09.01.01 [The service shall be a let] if in service the ball, in passing over or around the net assembly, touches it, provided the service is otherwise correct or the ball is obstructed by the receiver or his or her partner. In your description, the ball has already completed the "passing over or around the net assembly" and landed on the other side. 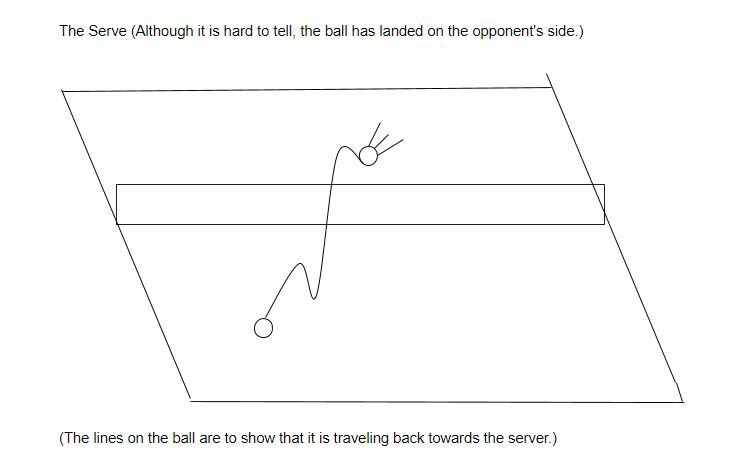 As such, the serve is legal and what happens next is all part of normal play. There is an exception in rule 2.09 if the player is in a wheelchair - in that case, if the ball returns towards the net after hitting the other side then it IS a let, regardless of whether it touches the net again or not. Not the answer you're looking for? 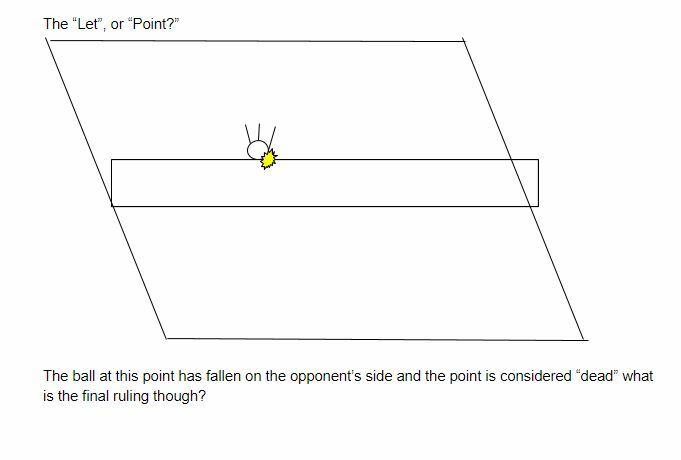 Browse other questions tagged rules table-tennis spin or ask your own question. Is a batsman out if the bails are removed but fall back onto the stumps? In sand volleyball, if a ball hits the line but the mark is out, is it in or out? Ball hit too far, opponent hits back on the full: who loses the point? Can an opponent catch the shuttle before it hits the ground on a serve?